During the 1st to the 9th century, Eritrea was part of the Aksumite kingdom, a trading state that emerged about the first century A.D. The Aksumites perfected a written language and maintained relations with the Byzantine Empire, Egypt, and the Arabs. After the rise of Islam in the seventh century, the Aksumite kingdom became internationally isolated as the Arabs gradually gained control of maritime trade in the Red Sea. From the 8th to the 13th century, Eritrea was part of the seven Beja kingdoms and then from the 13th to the 16th century was part of the Bellou kingdom. Over the centuries, other kingdoms and empires also established outposts or exercised control over various parts of present-day Eritrea. These include the Ptolemic Egyptians (3rd C. BC), the Sennar kingdom (16th-19th C.), the Abyssinian kingdom (14th-18th C., 19th C.), the Adal sultanate (15th-16th C.), the Aussa sultanate (16th-19th C.), Egypt under Muhammad Ali (18th C.), and the Ottoman Turks (16th-19th C.). Italy established an administrative structure and a transport and communications network in Eritrea. Italian settlers set up plantations and industries. During World War ll., the British defeated the Italians and established a protectorate over Eritrea. Eritrea became an important center for British and American operations in the region during the war. The 1950 United Nations resolution federating Eritrea with Ethiopia went into effect. The resolution ignored Eritreans' desire for independence but guaranteed them some democratic rights and autonomy. 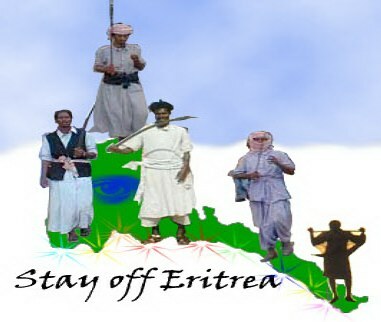 The armed struggle for independence began after years of peaceful protest against Ethiopian violations of Eritrean democratic rights and autonomy produced no improvement in a deteriorating situation. Using armed force, Ethiopia's emperor, Haile Sellassie, unilaterally dissolved the Eritrean parliament and annexed the country. In 1974, a group of disgruntled military personnel overthrew the Ethiopian monarchy. Eventually, Mengistu Haile Mariam, who participated in the coup against Haile Selassie, emerged at the head of a Marxist military dictatorship. For 30 years the Eritrean peoples were in conflict the Ethiopian government to gain their independence. On 24 May 1991 they finally gained control of their country. In April 1993, in an internationally monitored referendum, 98.5% of the registered voters voted, and of these, 99.8% voted for independence. During the four-year transition period, a constitution was drafted and ratified.